You are locked in a space of your doubts and fears. You are wandering about and looking for a way out, but something terrible stands in your way. You strive for light, but darkness doesn't let you go. You need to pass a series of tests. Open the doors to break out from the dark corners of your soul. Be persistent and courageous and endure to the very end. 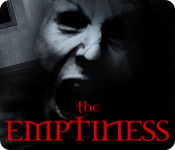 Features: A unique and thrilling psychological hidden object quest; A dark and brooding atmosphere that will keep you on the edge of your seat; Live actors and professional voiceover for the ultimate story presentation; Multiple ways to solve the mind-bending puzzles thrown in your path; Two difficulty modes for the perfect level of challenge; Multiple game endings. How will your story end?